It is not uncommon for the legacy or importance of an individual to be exaggerated once martyrdom sets in. In the case of Matthias Sindelar though, this is not so. The adoration and regard surrounding the man in Austria was so high that his controversial and premature death at the age of 35 did not alter the public perception of him. Sindelar was quite possibly the greatest of all the pre-war players, or at least the most important. Nicknamed ‘Der Papierene’ or ‘the Paper-man’ due to his slight build, Sindelar did not need power, for he had more grace, poise and technique than any other player on the planet throughout the 1920’s and 30’s. Sindelar had one great foe throughout his career; and that was fascism, the Italian fascists stripped him of his chance of World Cup glory and many believe the German fascists stripped him of his life. Sindelar was born in Kozlov, which was at the time of his birth on the 10th February 1903, part of the Austro-Hungarian empire. Both of Sindelar’s parents were Czech’s; his father was a blacksmith and his mother a housewife. ‘Sindi’, as he was known to his friends, moved to Vienna, along with the rest of his family, in 1905, at the age of 2. Vienna was a vibrant city at the time, and a well-spring of talented and creative individuals. The city of music was also the birth place of the world’s first psycho-analyst, Sigmund Freud, in 1856. Among their love for art and academia, there was a third passion of the early 20th century Viennese man, and that was the great game of football. 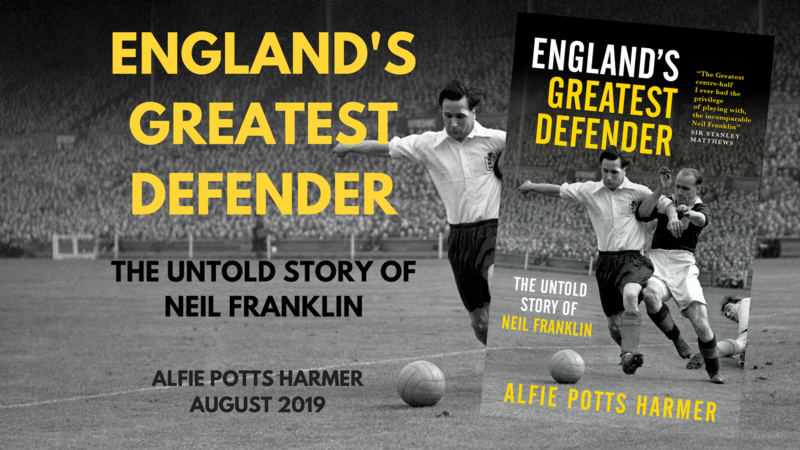 This should come as little surprise, as whilst the Austrians may no longer be footballing powerhouses, their team of the 1930’s was nicknamed the ‘Wunderteam’ and is regarded as one of the finest Golden Generations in the sports history. In a team laced with quality, Sindelar was still the star and the captain, of that there was no doubt. The young Sindelar began playing football on the streets of Vienna as a child, and made his first venture into the game when he joined ASV Hertha Vienna. The club was dissolved in 1940, and rarely challenged the top teams in Austria, but provided a good platform for a young Sindelar to exhibit his skills to the nation. After six years with ASV, aged 21, Sindelar was snapped up by FK Austria Vienna. It was a club that could match Sindelar’s ambition, and he did not let down. Albeit a bigger club, Austria Vienna were named ‘Wiener Amateur’ when Sindelar joined them, but changed their name when they turned professional in 1926. Sindelar was an instant success and starred for arguably the countries best team at the time. Sindelar only won one league title with Austria Vienna, in 1926, but they won the Austrian Cup five times and the Mitropa Cup twice. The last of the three was undoubtedly the most impressive, given that the Mitropa Cup was Europe’s leading football competition at the time. By the mid 1920’s Sindelar was already the star of the Austrian game. His importance in the development of football is colossal. An Austrian newspaper once commented that he played football “like a grandmaster plays chess,” whilst Austrian journalist, intellectual and theatre critic Alfred Polgar once said of him, “He had brains in his legs and many remarkable and unexpected things occurred to them while they were running.” Today, it is just naturally assumed that all great attacking players should be blessed with great vision and creativity, with the ability to unlock defences, yet this was not such a given when Sindelar began playing. Football was a very physical and direct game, and it took Matthias Sindelar to show the world that there was another way. As well as revolutinsing the way those in the game thought, Sindelar outright invented a position decades before it became common place. That is the role of second striker, or withdrawn striker; the type of forward who plays just off the front. This position has become second nature within the game today, and is far more common than the roles of poacher, target man or even the traditional number 9’s. The position allowed Sindelar to have a greater influence upon the game, coming deep to receive the ball before picking a pass or embarking upon one of his trademark mazey runs. It would take until the early 1950’s for the great Nandor Hidegkuti to follow suit and attain a similar level of effectiveness for Hungary, and after that the position became increasingly popular. Sindelar was handed his Austria debut and teamed up with the rest of the Wunderteam for the first time in 1926. He made an instant impact, scoring the winner against Czechoslovakia on his debut and four goals in his first three games. However, in 1928, he fell out with manager Hugo Meisl, and was dropped from the national team for almost two years. After being cornered by a group of disgruntled fans in a local coffee house, Meisl decided to change his mind, and Sindelar was brought back into the team. In 1931, Austria twice humiliated their neighbours Germany, defeating them 6-0 and 5-0, with Sindelar scoring a hat-trick in the second encounter. An 8-2 demolition of Hungary followed as well as a 6-0 defeat of Switzerland, and by now Austria were widely regarded as the best national team in the world, along with England. Austria won the 1932 Central European International Cup and headed into the 1934 World Cup as clear favourites. The competition would prove Sindelar’s first clash with fascism. Hosted in Italy, Mussolini targeted the tournament as a propaganda show, in much the same respect as Hitler did with the 1936 Olympics. Il Duce even went as far as picking the referees for each of Italy’s games and having a meeting with said referees prior to each game. It is little surprise that questions were asked when numerous decisions seemed to go in favour of the home nation then. Suspicions were aroused after Italy’s Quarter-Final win over Spain but when they faced the superior Austria team, such suspicions were heightened. As well as a number of poor decisions, the Swedish referee, Ivan Eklind, even intercepted and headed clear a cross-field ball by Austria during the game. Italy won 1-0 and Austria were, controversially, eliminated. The referees of Italy’s Quarter-Final, Semi-Final and Final games were all dismissed when they returned to their native countries. Sindelar was coy after the game, and never voiced his opinion on the controversial game, but his strike partner Josef Bican was rather more outspoken. Bican maintained until the day he died that the match was fixed and was always greatly angered by the way in which it was swept under the rug. Sindelar and Austria qualified for the 1938 World Cup, by which time Sindelar was 34, but in March 1934, the Third Reich annexed Austria. The Ansschluss was successful, as the Allies were still focused on a policy of appeasement towards Hitler, and Austria became part of the Greater German Reich. On both a personal and footballing level this was terrible news for Sindelar. He rigorously opposed the Nazi’s, and by this point his political views were well known, putting him in some danger. He was also accused of being a Jew, despite the fact his entire family was Catholic. On a footballing level, the move meant the Wunderteam ceased to exist, and the Austrian team had to merge with the German team. The Wunderteam was allowed one last match, in April 1938, against the German national team, to ‘celebrate’ the Ansschluss. It is widely believed that the Austrian team were told to lose the game before kick-off and Sindelar insisted that he would play in the game. He humiliated the German team, dancing past defenders before refusing to put the ball in the back of the net and instead stopping, turning around and shaking his head. Eventually, with the game heading towards a 0-0 draw, Sindi decided to convert one of his chances late in the second half, and when his best friend Karl Zischek added a second, the pair ran over to where a number of high-ranking Nazi officers were seated, parading and dancing in front of them in an act of mockery. The act of humiliation angered the Nazis and stuck with them. Despite this, Hitler was insistent that Sindelar would still be a part of the newly-formed team which took on board many Austrian players. Sindelar was uncompromising though, and flat out refused to play under the flag of a regime he despised and one that had invaded his homeland. The Nazis didn’t take well to the Austrian’s act of defiance. He was found dead less than a year later, on January 23rd 1939, aged just 35. Sindelar had spent the night gambling and drinking at a coffee house, before visiting his Italian girlfriend of 10 days later that night. The pair were discovered dead, having been poisoned by carbon monoxide fumes, the next morning. Like many premature deaths, Sindelar’s has been the cause of much controversy. The Nazis had been keeping tabs on Sindelar, and the reports of the inquest into his death mysteriously went missing. The Gustapo had gathered significant information regarding Sindelar which stated that his stance as pro-Czech, pro-Jew and anti-Nazi views could be considered dangerous. Most reports gathered by the Gustapo which were as damning as the one on Sindelar resulted in death. We will never know whether the Nazi’s killed Sindelar, but we do know they targeted him and his family, to the point where his cafe had become under regular surveillance. For the best part of a year Sindelar had been banned from playing football, and without the game and with the fears which plagued his life, it is said Sindelar was unsurprisingly not enjoying life by 1939. This has led to the second major theory, supported by the Austrian writer and poet Friedrich Torberg and Sindelar’s biographer, that he may have killed himself. Under Nazi rule, death’s which were a result of murder or suicide could not merit a state funeral. Therefore, significant effort was made to register the death as an ‘accident’, the attempts were successful. 15,000 people attended his funeral. In 1998 he was named Austria’s sportsman of the century and in 1999 he was named their greatest footballer of the century. Both accolades were well deserved, yet there is something a little odd about his acknowledgement in Austria. 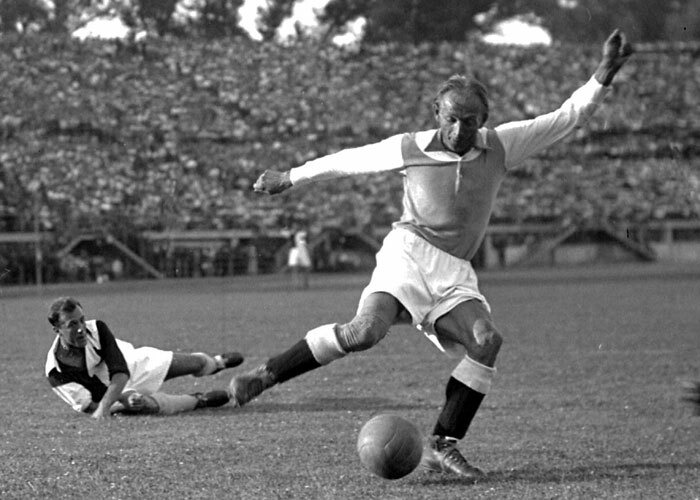 As the nation’s greatest ever sportsperson, a man who forever altered the landscape of the world’s biggest sport and stood up to Nazi occupation as an idol and symbol of Austria, which arguably cost him his own life, one might expect a little more recognition that Sindi has been given. A street name and a grave, they are the only monuments you will find to him. Pele and Puskas have stadium’s named after them, Jackie Milburn has a steam train, heck; George Best has an airport. Yet there is not even a statue nor a stand which sports the name of one Austria’s and football’s greatest sons, Matthias Sindelar. Austria jointly hosted the European Championships in 2008, it would have been a perfect time to honour the great man, yet his name was never even uttered. It is as bizarre as it is tragic and disgraceful that his legacy risks being forgotten with each passing generation. It’s often joked that Austria’s greatest achievement has been convincing the world that Beethoven was Austrian and that Hitler was German; well perhaps their greatest mistake has been forgetting about ‘Der Papierene’. Both on and off the pitch Matthias Sindelar is a heroic figure of the game, and it is about time something was done to recognize the greatness of the man. Kerlon: Whatever Happened to Ronaldinho’s Heir Apparent?